Great turnout tonight. Mayor Bowser is focusing most of her discussion on the citywide homelessness problem, especially need to close DC General, need to find smaller, more respectful locations throughout the city. She believes her plan will allow city to close DC General by 2018, and says she will be releasing legislative plan very soon (sounds like a matter of weeks). 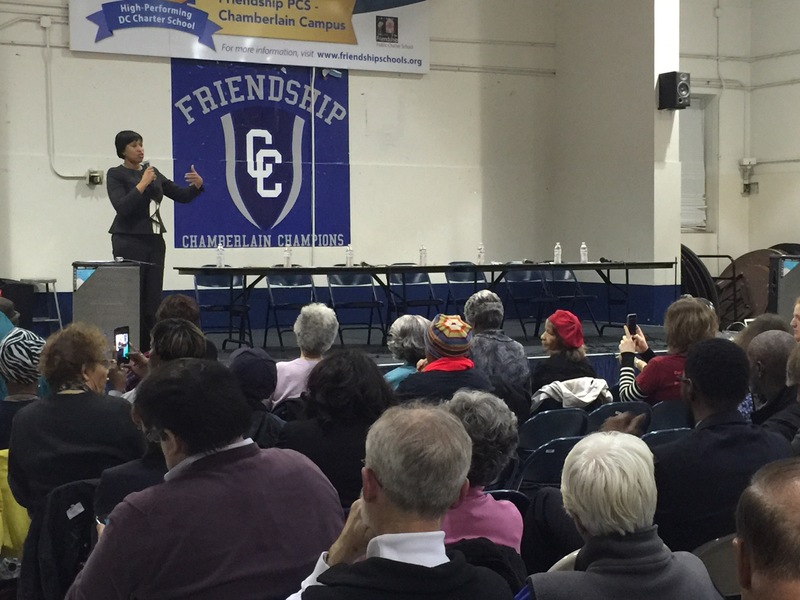 We also heard from Councilmembers Anita Bonds, Vincent Orange, and Council Chair Phil Mendelson. It is great to see ANC6E Commissioner Frank Wiggons here, as well as Martin Moulton who of course was vocal about Shaw’s particular perspective in this Ward 6 Town Hall. Finally, we are especially happy to have Shaw’s New Endeavors for Women as a sponsor of tonight’s Town Hall. Thanks!